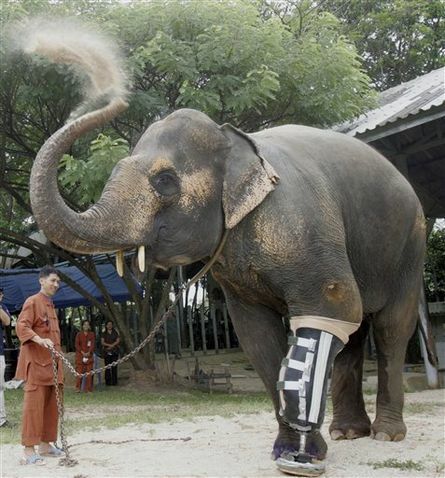 Motola, a 48-year-old elephant girl, lost her leg to a landmine 10 years ago, but finally got a new prosthetic leg at the elephant hospital in Mae-yao National Reserve. If you want to help other elephants, take a pick from the many projects Friends of the Asian Elephant (FAE) have going. This entry was posted on Monday, August 17th, 2009 at 12:18 and is filed under Uncategorized. You can follow any responses to this entry through the RSS 2.0 feed. Both comments and pings are currently closed.